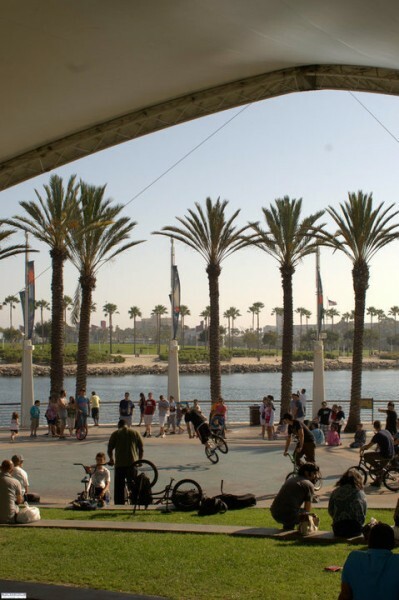 The Globe is a stage located inside the rainbow harbor of long beach. It has the world painted on its surface, hence 'the globe' or sometimes 'the world'. It is a 3-stair stage that is commonly visited on a daily basis by bmxers and skaters. Dense, grippy, fast, approx 35 x 35 feet in a circular shape. Behind the P.F. Chang's chinese bistro in the harbor. Also located next to gladstones, chilli's, yardhouse and others.